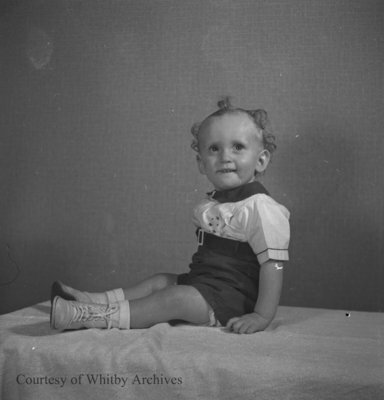 A black and white medium format negative of Bill Watters sitting on a blanket on a table. In this view Bill is looking towards the photographer. Bill Waters, c.1944, Marjorie Ruddy. Whitby Archives A2013_040_403.